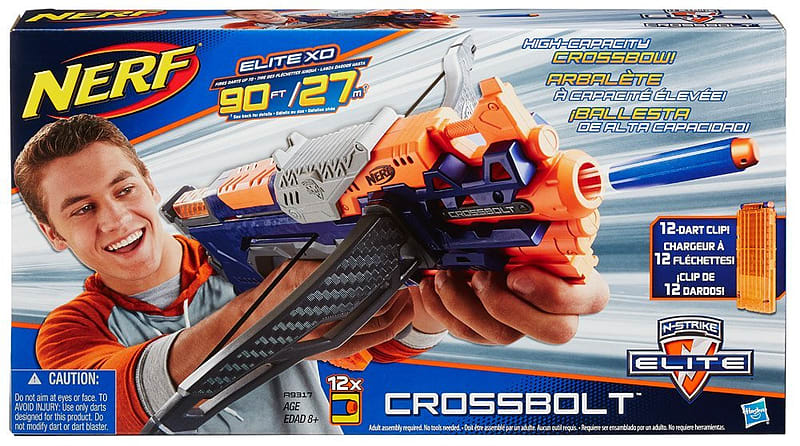 Make your mission count with the clip-fed bow action of the crossbolt blaster! Load up the 12-dart clip with the included N-Strike Elite darts and attach it to the blaster. Get ready to bring down targets up to 27m away. 12 dart clip c/w 12 Nerf Elite foam darts Insert the clip, pull back the bow and fire!